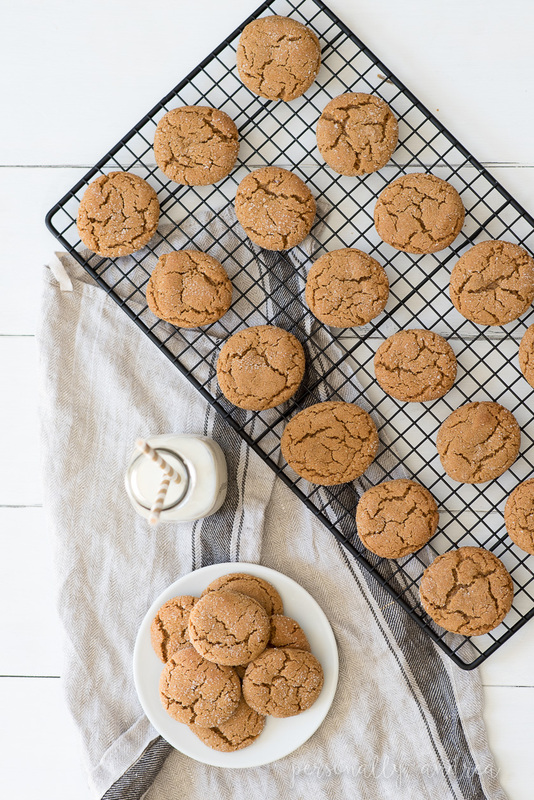 A classic old-fashioned gingersnap recipe with a perfectly crinkled top and chewy center. A must-have for Christmas baking, but delicious all year long! With the Christmas season around the corner, serious bakers will getting busy stocking up on cookies for the holidays. I wouldn’t call myself a Serious Baker, but these ginger molasses cookies are always on the list of Christmas baking. If you’ve been around here very long you know that I stick to the tried-and-true. Recipes that never fail and that everyone will love. Christmas baking is no exception. In my repertoire I have gingerbread, shortbread, sugar cookies, lemon thumbprint, plus something chocolate. With chocolate I’m willing to experiment…you can’t really go too far wrong. These are the gingerbread. They also go by the name of gingersnaps and ginger crinkles. 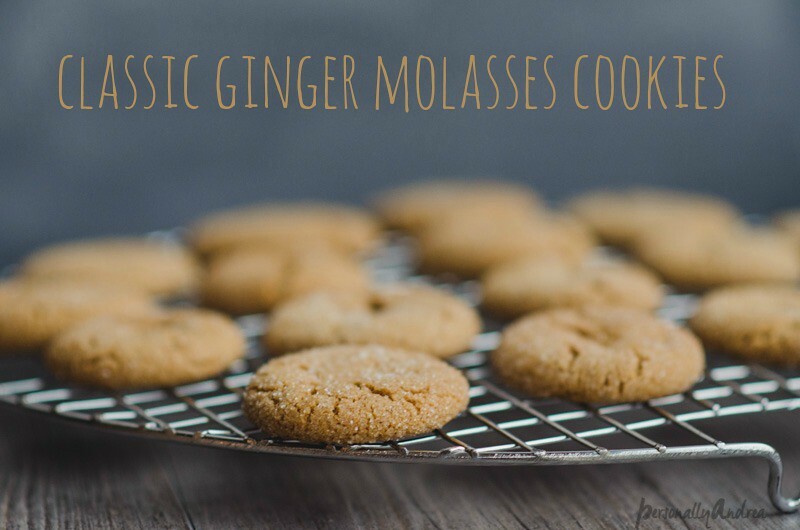 I call them Ginger Molasses cookies because they are a perfect knock-off of the ginger molasses cookies served at Starbucks. But better because they’re homemade. Confession…I might even be slightly addicted to the Starbucks cookies, and sometimes have them as lunch. But the homemade ones are so much better. I promise. My recipe is cut out of a magazine, scotch-taped to a recipe card and filed in a recipe box that I got at a wedding shower. Before the days of Pinterest obviously. 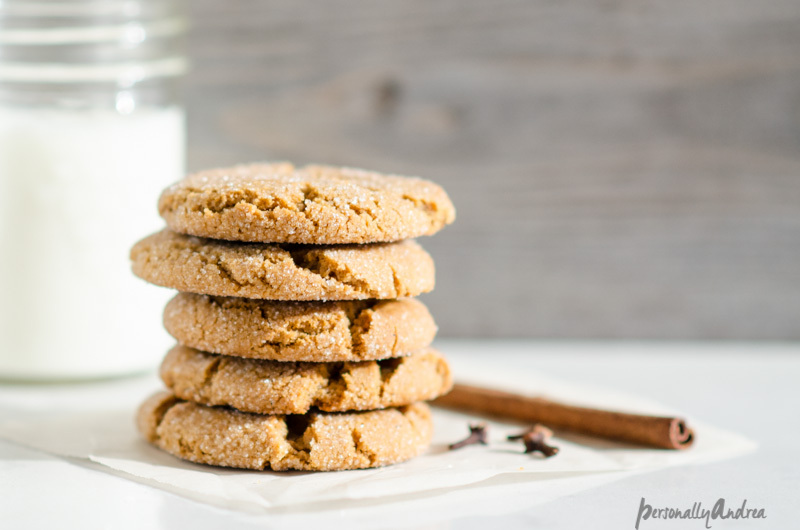 The name of the recipe is Margaret Flett’s Gingersnaps, but much research to find the author and give credit for the recipe came up empty. But thank you Margaret Flett, your recipe is delicious. These cookies taste amazing for days after baking (if you can keep them around that long). Just the right amount of crispy outside and chewy centre. If you want to keep some for Christmas the best thing to do is freeze them right away, since they freeze beautifully. Also, once you mix up the dough it needs to be wrapped up and refrigerated for a bit before baking. 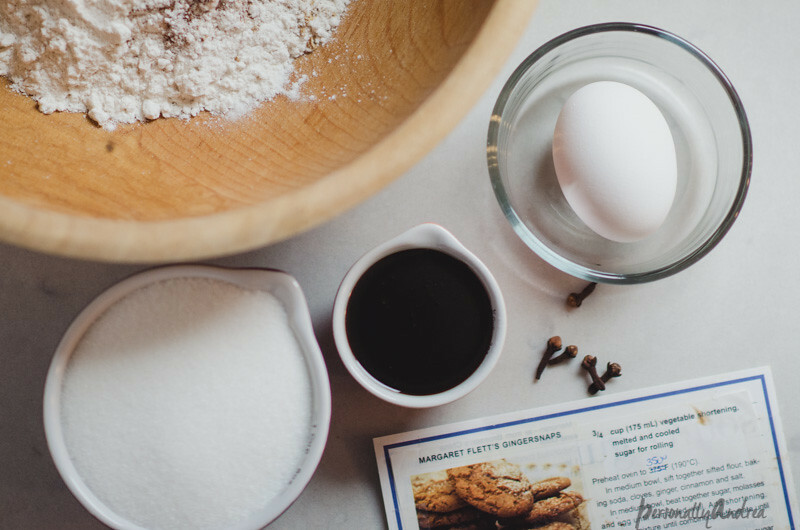 It will actually keep in the fridge for several days, so if you need to do your baking in several shifts, you can mix up the dough one day and bake it into cookies another day. That happens here a lot. The fun part is breaking off little chunks of the dough, rolling them up and coating them in sugar. This is a great job for little minions in case you have any of those hanging around your kitchen. You can make the chunks as small or big as you want, to end up with smaller or bigger cookies. I like to make them little. They bake a bit faster and plus you can eat two or three instead of just one. I like that. And there they are…tried-and-true, and better then Starbucks because you made them in your own kitchen and your house smells amazing right now. They’re nut-free and dairy-free (except egg) so they’re great for school lunches. Or after school they’re delicious with a glass of cold apple cider or milk for the kids, and a hot tea or coffee for you. Preheat oven to 350°. 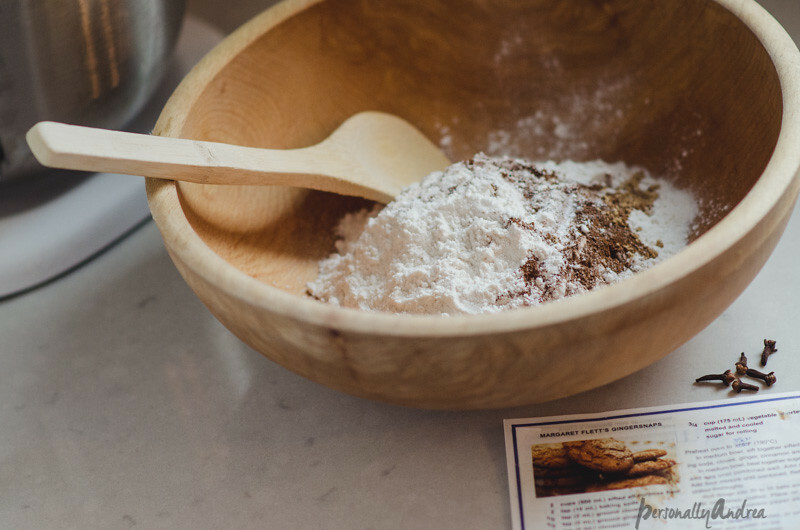 In a medium bowl, stir together flour, baking soda, cinnamon, cloves, ginger and salt. 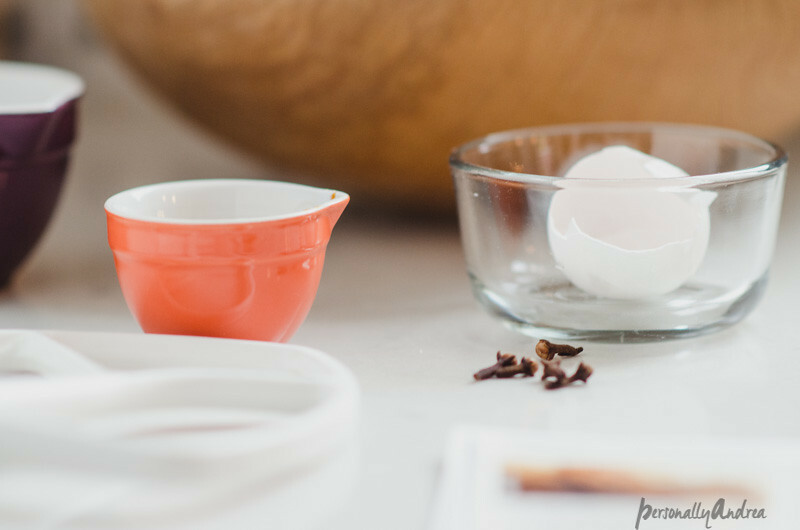 In a separate bowl beat together sugar, molasses, egg and shortening until combined well. Slowly add flour mixture until combined. 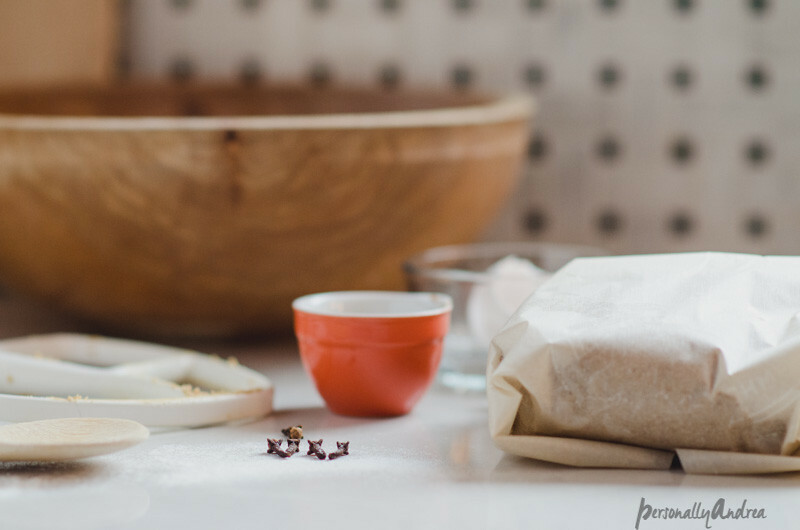 Wrap dough in plastic, wax or parchment paper and refrigerate until thoroughly chilled. 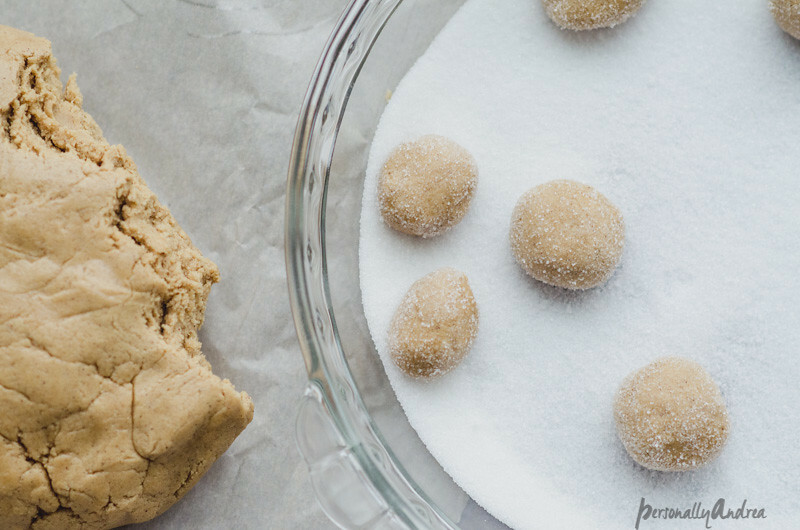 Roll dough into small balls and coat with sugar. Place on baking sheet lined with parchment, about two inches apart. Bake 10-12 minutes, or until cookies are cracked and golden on top. Makes 30-35 cookies. 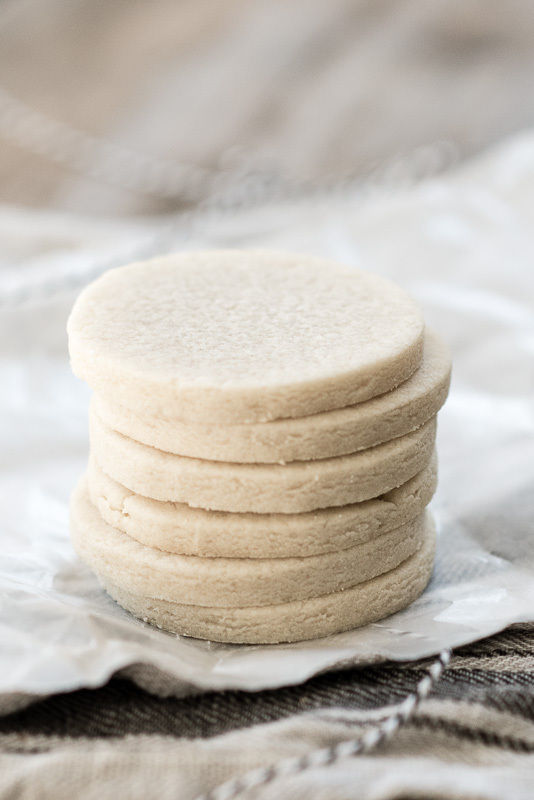 For more classic baking check out these posts for Must-Have Sugar Cookie Recipe // Best Banana Cake from Scratch // Perfect Chocolate Cake from Scratch // Homemade Hamburger Buns.